Major objective of this lecture is to present on Demonstrative Pronouns. 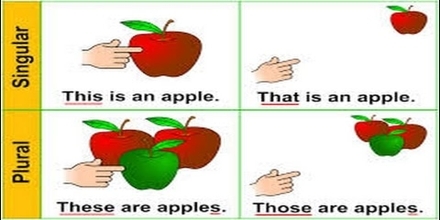 Demonstrative pronouns are used for pointing out things. The words this, that, these and those are demonstrative pronouns. Examples:- These are my pets; These are sheep but those are goats; Those are horses. The demonstrative pronoun takes the place of the noun phrase; adjective is always followed by a noun.